Mr Frydenberg has continued to push the issue in the new year. 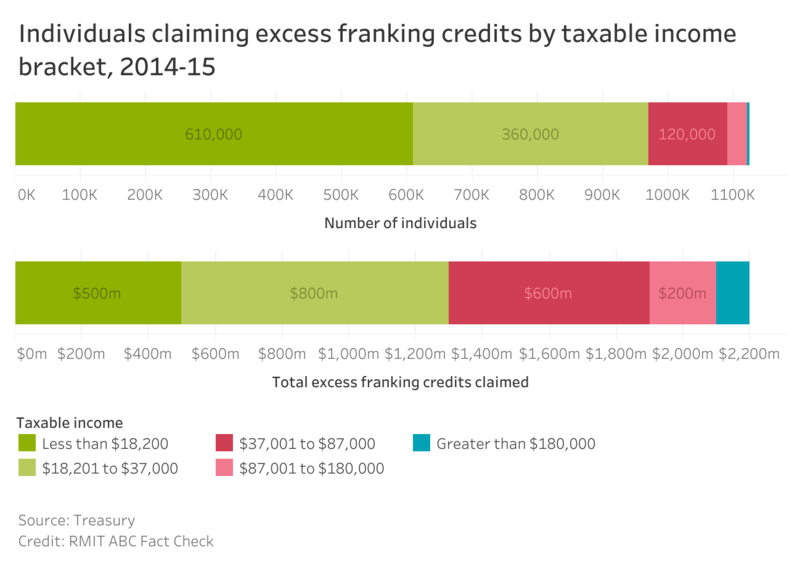 EMBED: Figures from Treasury on excess franking credits by taxable income. 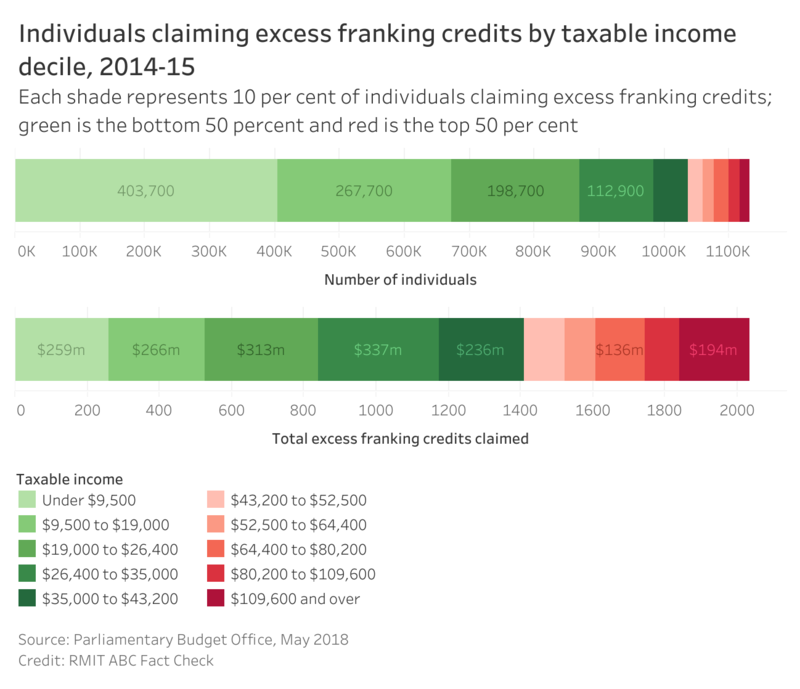 EMBED: Figures from the PBO on excess franking credits by taxable income. This is the first article I have read that seems to spell out precisely how my personal situation will be covered. While my case is of no interest to anyone else, the reason that I refer to it is that is has proven quite difficult to obtain the correct information from the available (internet) sources in a readily understandable form. There is still plenty of scope for confusion and the LNP has no compunction to mislead and lie (as seems the modern way of politician) to muddie the Labor waters. I suggest strongly that it will serve the Labor Party greatly if it widely issued a few specific and detailed explanations of how their policy is meant to work, with examples (!). Determining cash refunds for SMSFs shouldn’t be difficult for ATO/Treasury.All SMSFs obliged to lodge financial returns with ATO. This includes those in retirement phase. Return usually lodged by accountant. Included in the data details of SMSF Auditor, audit completed & all clear. Number 10 on return is for: Exempt Current Pension Income. Such amount stated. Section D: Income Tax Calculation Statement. The amount is zero. E1: Complying fund’s franking credits offset. The Refundable tax offsets stated. Total amount of tax refundable. So data is there & not difficult to collate. Also the ATO publishes a SMSF Quarterly Report. This contains a raft of tables including a Flow of Funds Table showing total benefit payments for a full financial year. The ATO should also be able to include a table of franking credits claimed & cash refunds to those in retirement. FOI requests shouldn’t have to be lodged to get such information. Thanks Josh for a clear explanation of the effect of Labor’s proposal. This is another Howard/ Costello legacy that needs to go. There has been so much media “scare mongering” about how Labor are going to beggar “pensioners” with this policy it is nice to hear the other side. It is a pity the main stream media don’t call out politicians like Stuart Robert when they use dodgy statistics in their arguments. An easy way to ensure withdrawing imputation credits is progressive is to simply apply the withdrawal to taxpayers with high taxable income (e.g., $50,000 or more), and allow taxpayers with taxable income below the relevant threshold to claim imputation credits, including cash refunds (where the credits exceed tax liability). Whereas the current Labour policy of simply cash refunds for imputation credits is arbitrary. It will adversely affect some low income taxpayers. And protecting pensioners (bless them) doesn’t help either, since some pensioners (who own their homes) are actually quite wealthy. 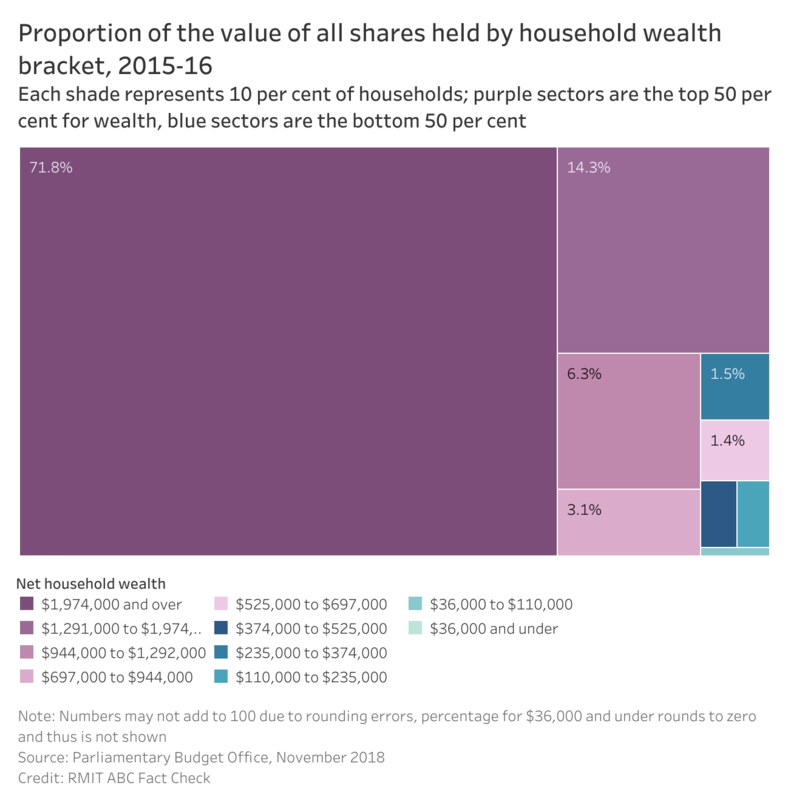 And not all low-income people are pensioners. To this day, I cannot understand why Labour does not limit imputation credits based on taxable income. 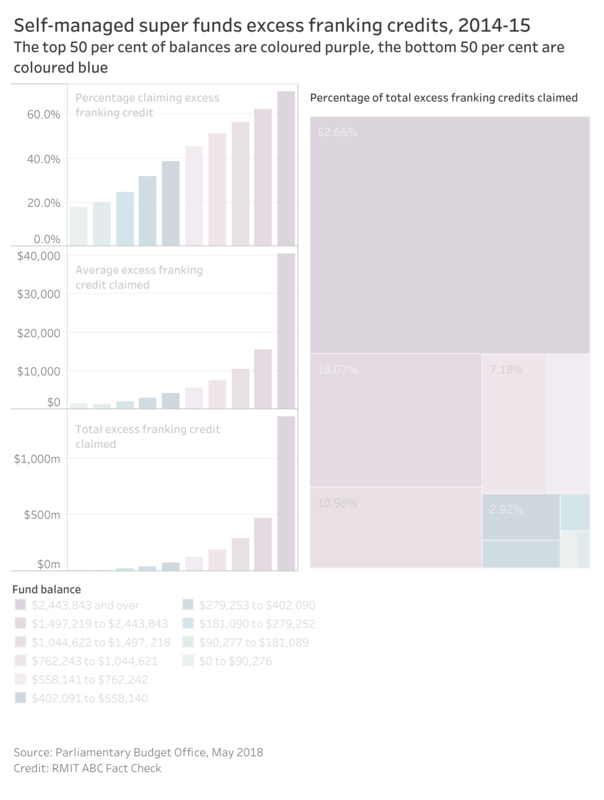 Why arbitrarily stop cash refunds regardless of taxable income?